Do you notice any distortion or haziness in your vision? 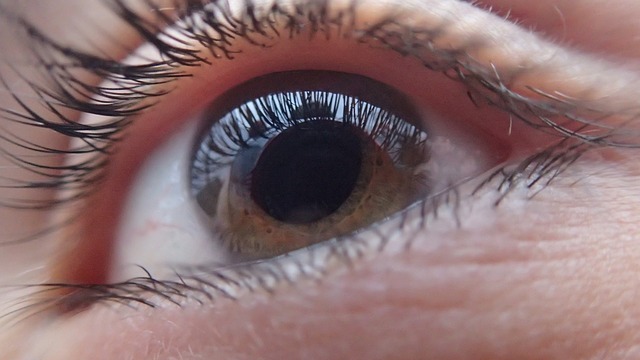 Are your eyes becoming more sensitive to light? If so, you could be one of the 22 million Americans suffering from cataracts. This disease is the leading cause of blindness in the world. Today, there are more cases of cataract than there are of macular degeneration, diabetic retinopathy, and glaucoma combined. According to Prevent Blindness America, approximately 70 percent of seniors will have cataracts by age 75. More light helps seniors with poor eyesight see their surroundings clearly, but it could produce more glare for people with cataracts. Reflected light from a hallway with polished floors or simply the bright outdoor sunlight can hurt their eyes and make it difficult to see. Night driving also becomes more challenging for them because of the glare from oncoming headlights. A study shows that as we get older, we generally need more light to perform everyday tasks such as writing, reading, and sewing. For people with cataracts, diabetic retinopathy, macular degeneration, or other vision impairments, the light requirement could be as much as three to four times brighter than those who do not have any visual deficiency. The lenses of the eyes should be clear and transparent. When you have a cataract, they gradually change color, becoming brownish or yellowish. The cataract that acts like a filter to the eyes prevent patients from distinguishing certain hues, such as black, navy blue, purple, green, and brown. The change in color can also reduce the sharpness of the eyesight. Cataracts also affect you’re your ability to judge distances accurately. For example, estimating the height of a curb or step, or the depth of a bathtub will now require closer attention. Furthermore, patients may incorrectly interpret shadow and shadow patterns as steps, drop-offs, obstructions, or level changes. People with normal vision are able to clearly see when an object is against a backdrop of the same color – a brown chair against a dark rug or a beige coffee mug on a cream-colored tablecloth, for example. However, those who suffer from cataracts will find this task more difficult as they require an increase in background contrast. Faces, colors, and objects look cloudy, hazy, and washed out for people with cataracts. This lack of detail and depth perception makes it hard to tell time, read, walk safely, watch television, and even see food on a plate. If you notice any of these changes, go to an eye care professional to get checked. You may be able to improve your vision for a while using magnification, new glasses, strong bifocals, or other visual aids. You don’t have to resign yourself to the notion that having poor vision is an inevitable part of aging. Among other solutions, cataract surgery is an easy and relatively painless procedure to restore vision. Be sure to explore your options with a specialist.